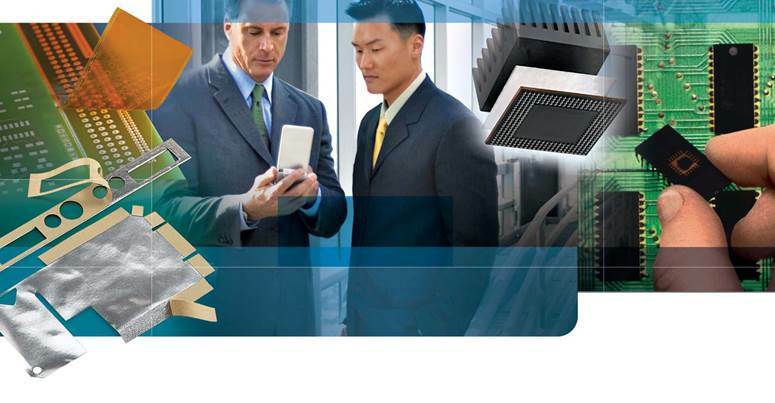 B&C is the leader in metal thermal interface materials (TIMs). 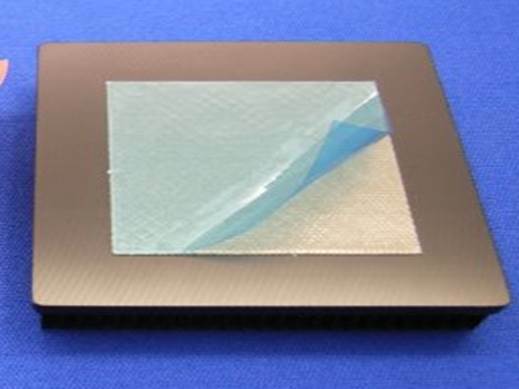 All of our thermal interface materials are metal-based, which means they have a very high conductivity as compared to polymer-based thermal interface materials. Indium metal, for example, has a conductivity of 86W/mK and is 4 times softer than lead. It's ductility and thermal conductivity make it ideal as a compressible thermal interface material. For the thermal K values of other thermally conductive materials, check out our thermal K list. Many applications call for TIM that can easily be placed on a chip, on a lid or perhaps just against a heat source and a cooling solution contact plate. We developed a metal TIM which would work as a compressible Interface Solution for such an application. Our pressure range is 35psi to 100+ psi. 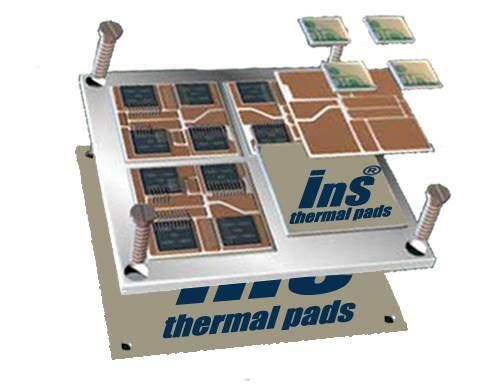 An thermal pad made of indium offers uniform thermal resistance at lower applied stresses in compressed interfaces. 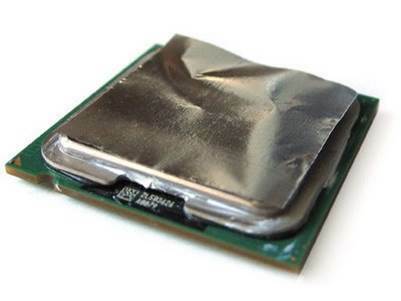 The malleability of indium minimizes surface resistance and increases heat flow. Our thermal conductive technology will further reduce the thermal resistance. 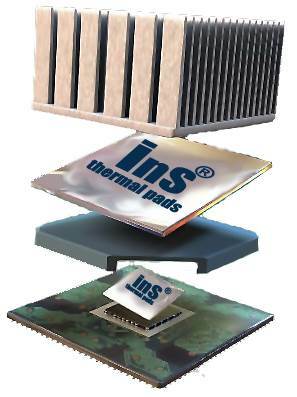 Indium's line of high-end thermal interface materials delivers superior performance over time. As TIM products are made of metal, they cannot experience pump out problems even under power cycling. 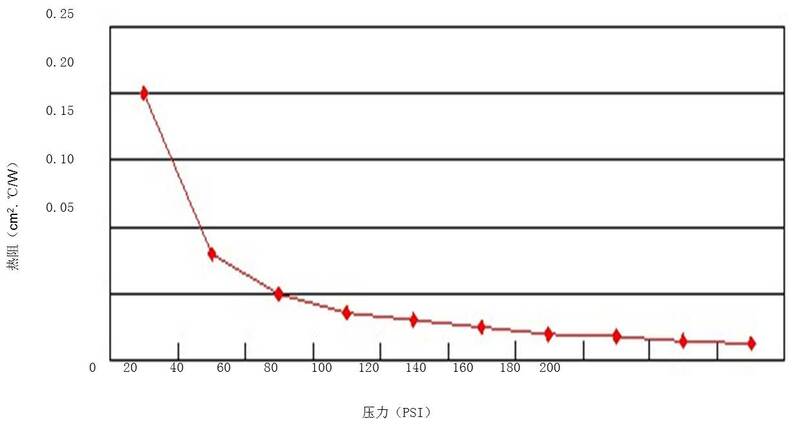 The Ins material, which does not contain silicone, will conform to surface disparities over time, thereby reducing thermal resistance through the life of the TIM. Due to its solid state, the Ins also resists bake out.